Summer is right around the corner, which means it’s time to get your scout on. Regardless if you are pursuing Midwest whitetails or elk in the West, we all understand the importance of knowing our quarry and its behavior. While a few behaviors of our quarry may change between now and the hunt, there are still patterns that we can home in on, so when the hunt begins, we are as prepared as possible. Scouting is not a day-long, week-long, or even a month-long process; it’s a year-round practice for the most successful of hunters. To begin a new year of scouting, there is no better place than from your computer or mobile device. Getting a lay of the land prior to going afield can help you uncover hidden features to investigate once you are in the field. While there are several products on the market that allow mobile scouting, there is none better than onXmap Hunt. Like other mapping software on the market HUNT allows you to mark waypoints, measure distance, track routes, markup maps, and even take and upload a geotagged photo of your hunting location or trail-camera image. That being said, one of its most useful tools is its layer maps. As hunters we are used to seeing topography, roads, and resources such as water on a map. However, with the HUNT product, you can enable/disable the layers of data–some that are real-time–that are important to you, which include the following. As you begin your scouting process this summer, take advantage of the tools at your disposal. For more information on a HUNT membership, see below. Your HUNT Membership is an all access pass to the most detailed maps for all 50 states. Get private, state and federal land data, trails, access points and more. You can save you favorite maps and use them in the field on your smartphone, or find new areas to HUNT by scouting maps on your home computer as well. You can set waypoints of special areas to help find them later, or track the progress of your hunt, which gives you distance traveled and a trail of breadcrumbs to follow back to camp. 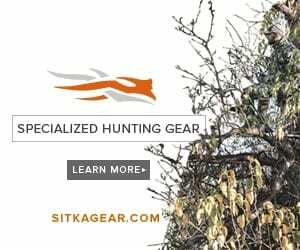 Try a free seven day HUNT Membership, or upgrade to a Premium Membership for $29.99/year for the state of your choice or an Elite Membership for $99.99/year or $14.99/month for all 50 states. Become a HUNT member and HUNT Smarter today.